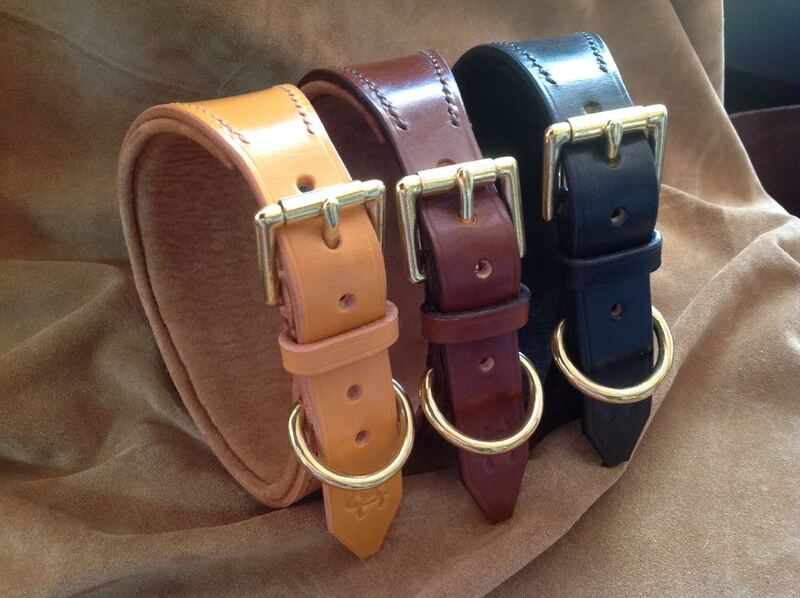 Quality leather greyhound collar lined and padded with soft leather for extra comfort. 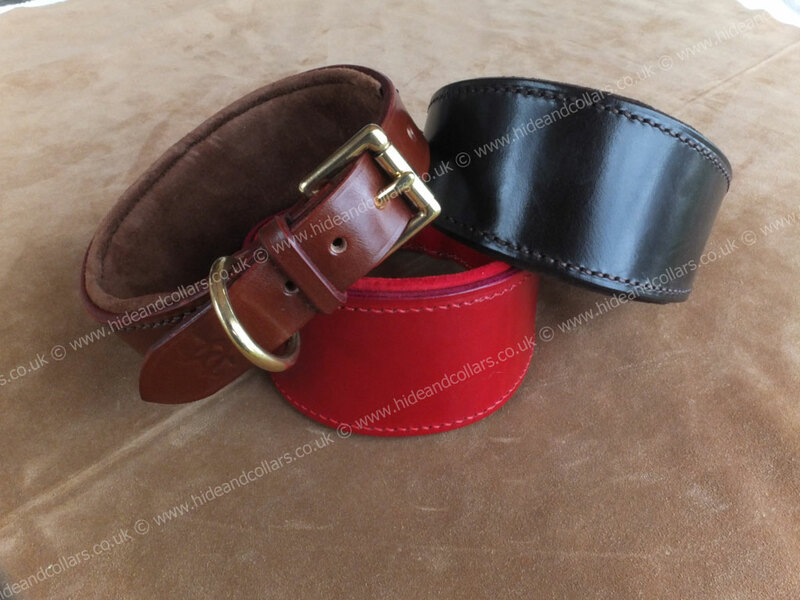 A traditional collar that is oozing quality and durability that is needed for the job. Available in a selection of colours with brass or chrome fittings. A Matching lead available here. 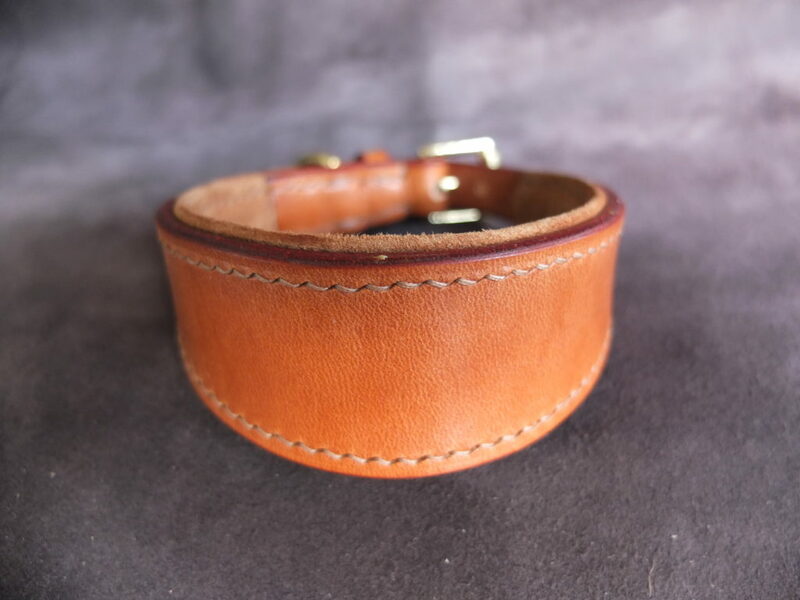 Greyhound collar padded and lined with pale napa leather. 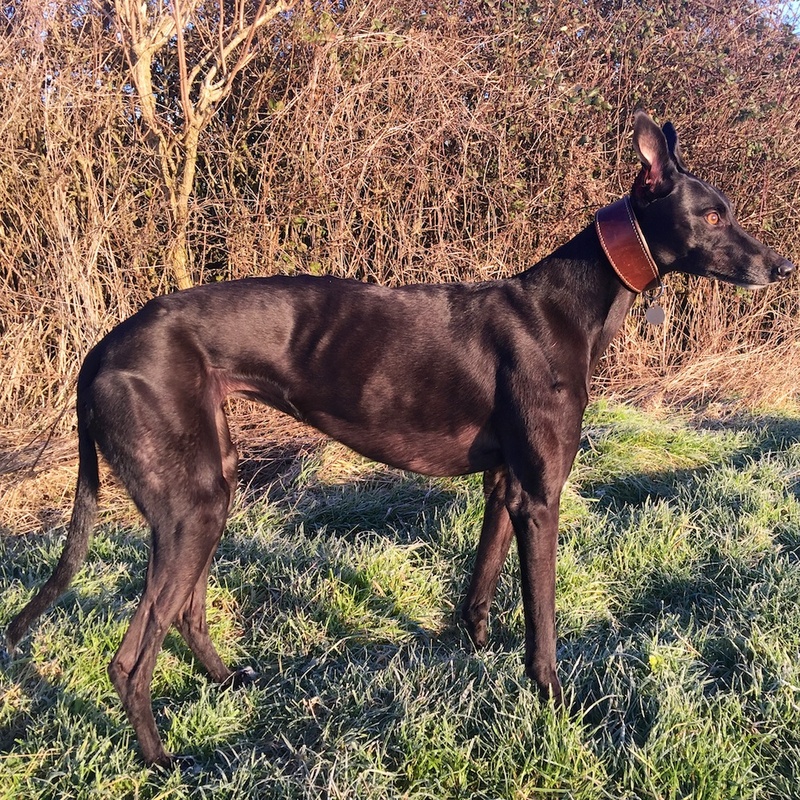 Lurcher collar traditional fishtail shape.